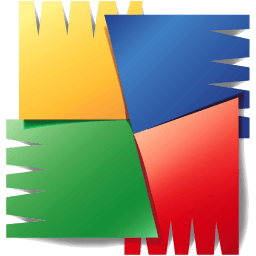 Your use of AVG Anti-Virus Free Edition shall be in accordance with and is subject to the terms and conditions set forth in the AVG Anti-Virus Free Edition License Agreement that accompanies AVG Anti-Virus Free Edition. Added download link to 64-bit version. Added privacy: AVG 2014 version not only helps keep your personal information safe when you're online and on your PC, but we have further improved privacy protection with the new integrated File Shredder. New File Shredder: Normal deletion isn't always secure enough. In some cases, your data may still be recoverable. File Shredder deletes data securely to help ensure your most sensitive information remains private. Files are deleted permanently and can't be accessed or recovered by someone else. Easy access to AVG mobile apps: User-friendly interface offers easy access to our free mobile apps. They range from mobile protection (AVG AntiVirus Free for Android) to privacy protection (AVG Safe Browser for iPhone & iPad) to mobile performance apps (AVG Cleaner for Android). Better Detection: AVG detection rates are always being improved to ensure we are keeping up with Internet criminals. File Reputation: The new AVG client will check with our cloud service and report the prevalence of certain files on users' computers. We'll then use this information to improve our product's detection capabilities (heuristics, behavioural detection). No personal information is ever collected, and customers must opt into our product improvement program in order for us to access their data.